Tencent’s PUBG Mobile has introduced a new in-app subscription that will offer recurring bonuses as it kicks off its sixth season. Subscriptions are available to purchase in two variations, with each bringing a number of incentives to players for that particular month. Prime and Prime Plus are priced at 99 cents and $9.99 respectively. March was PUBG Mobile’s highest month for worldwide player spending, according to Sensor Tower. Revenue was up 83 per cent to $65 million, so with the introduction of a new monthly subscription it will be interesting to see how this will affect the figures. When it comes to player spending on the App Store, rival battle royale Fortnite was said to have grossed 29 per cent more than the $28 million PUBG Mobile made on iOS in March. However, when taking into account both Android and iOS, spending for Tencent's game was 81 per cent higher. This is a somewhat unfair comparison however, given it's not known how much has been spent by players in Fortnite on Android devices. 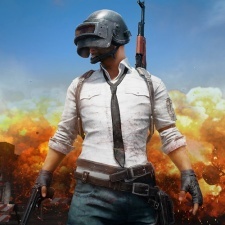 Outside of China PUBG Mobile has amassed more than $320 million and been downloaded an estimated 360 million times, excluding Android in the region. Due to a licensing freeze and extensive backlog, Chinese regulators have yet to give the two PUBG Mobile games in China the green light to monetise. Recently PUBG Mobile celebrated its first anniversary with a $2.5 million tournament held at YouTube Space in New York.